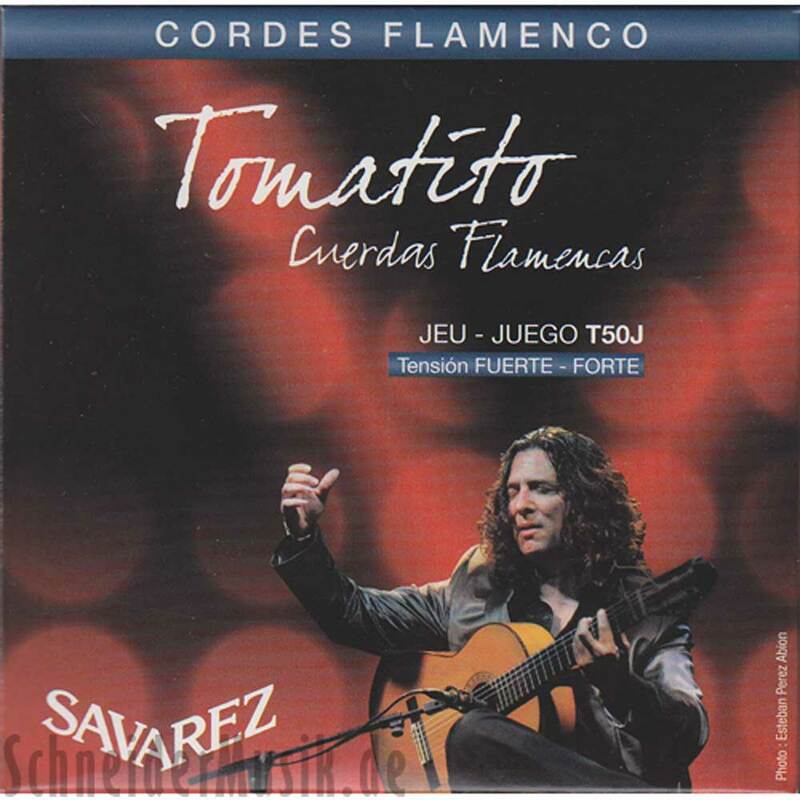 TOMATITO strings - the new Savarez sets forFlamenco Guitar. SAVAREZ and Tomatito specially crafted them for the immediate and precise response, the projection and the particular sounds each flamenco player is looking for. The velocity is much easier. The flamenco playing with its rasgueado, alzapúa, picado... is free and secure. The strings benefit from new materials and treatments, and state of the art technologies which insure their high quality and long lasting. The new sets consists of two NEW CRISTAL clear nylon trebles (E1, B2), one KF ALLIANCE G-string (plain composite treble monofilament; so-called carbon string), and silver plated basses wound on a new nylon multifilament core.